Web hosting is no longer limited to providing only the elementary services like hosting and domain name. The increasing number of players in the industry has resulted in a healthy competition that has some definite advantages for the end clients. In order to increase their saleability, a number of web hosting providers also offer business-friendly tools to their clients. Some tools are offered as a complimentary package while others are available at premium prices. One such tool is Website Builder. 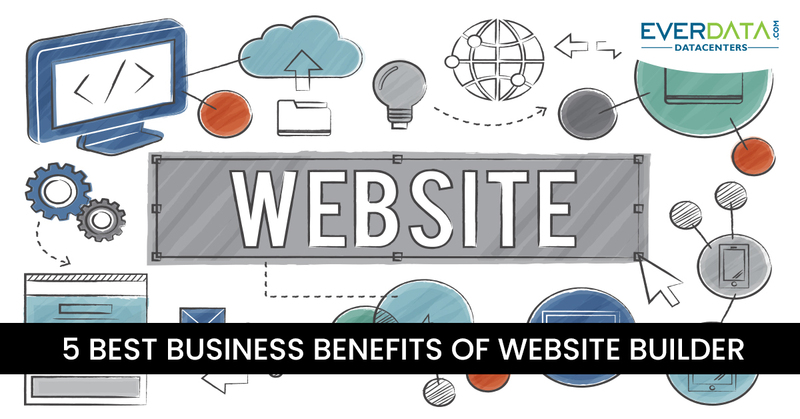 So, let us see what exactly is a Website Builder and the various business benefits it offers. In simple words the Website Builder, as the term implies is the digital tool that allows you to build an awesome website all on your own without depending upon any external help or spending precious dollars on hiring professionals. The best thing is that you don’t need any advanced technical knowledge like coding, scripting, etc. The Website Builder helps you to build awesome websites using graphical interface and simple interactive tools & processes. It is certainly a boon for non-technical clients who cannot afford to hire advanced professionals. You can actually take complete ownership of our entire website building exercise with the help of mouse by using simple basic steps like clicking, selecting, picking, dragging and dropping. 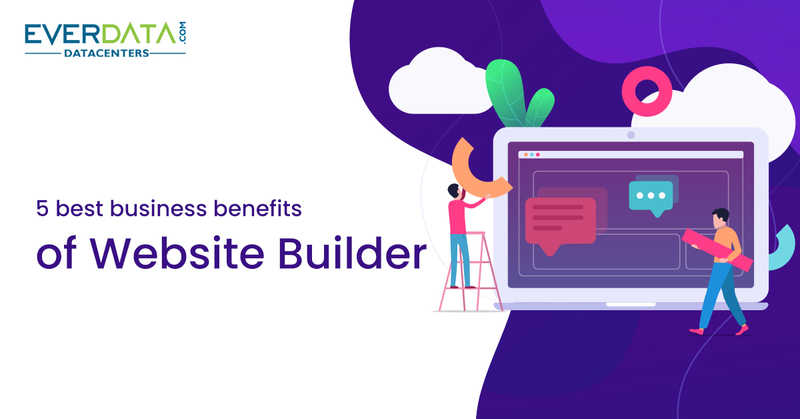 There are several benefits offered by Website Builder that makes it the ideal option for beginners as well as advanced users. Website Builder allows you to create the professional websites almost without any restrictions. You can place the content at your desired location almost effortlessly, have a greater control over functionality features and can enjoy an extended creative independence. On the other hand, if you want to extend your creative freedom while using coding or scripting you need to invest much more efforts and most probably a good amount of coding/scripting or other technical knowledge is required. Another major concern of the website owners is regarding the SEO compatibility of their sites as per the latest guidelines. Thanks to the web experts that are involved in designing the Website Builder and layout frames, you don’t have to worry on that part either. The Website Builder and the layout frames it uses are strategically designed and thoroughly evaluated by the web designing experts to ensure that they should adhere to the latest web design standards without any exception. Apart from affordability, another issue of hiring the professional designers is the lack of precision. In fact, each individual has his specific objectives when it comes to designing and it is not always possible to precisely communicate what you exactly want. So, in many cases, it needs multiple attempts to get the website that exactly aligns with your objectives. Lack of time can force you to be satisfied with the website even if it does not perfectly meet your objectives. However, with the help of Website Builder, you can have a complete and direct control over your entire websites building process and that empowers you to use simple and quick mouse actions until you get the exact results and the precise design/functionalities that you expect from your site. Building a website is not a one time process. You most possibly need to keep on changing the design and content depending upon the latest guidelines, seasonal schemes, new products, promos and other business-specific changes. Most of the people who hire web designers or agencies for this purpose are acquainted with the hassles associated with modifying the existing sites. Communicating the needs, following up with the designers and getting the substandard results are some of the possible complications you are most likely to face. It not only disturbs your daily schedule but also diverts your attention from your core business activities. 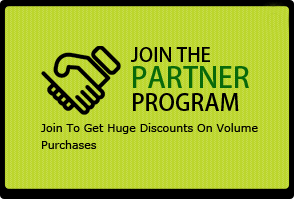 Time to market holds great importance in this competitive digital world and it actually gains critical importance if you need to make some changes for introducing time-specific schemes/discount like Christmas discounts or selling near expiry items at half price via your website. However, with the help of Website Builder, you can enjoy the direct control over your site modification process as well. You don’t need to spend on hiring web designers, bearing delays and expanding time to market. All you have to do is to use the simple graphical tools for editing the present content or adding the new one and with just a few attempts you will successfully make the desired changes without any compromise or spending your precious dollars.